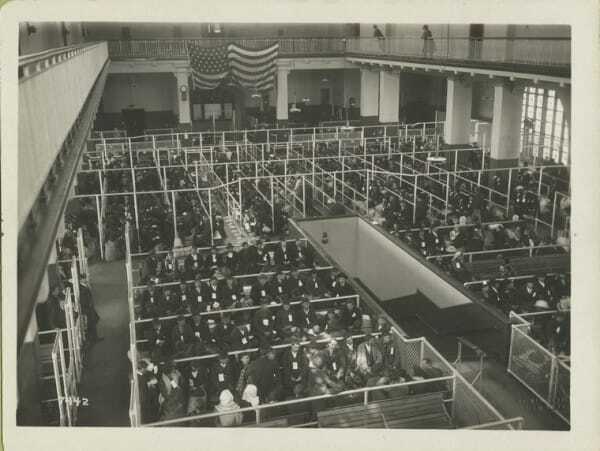 This was the first place the immigrants went to upon arriving in America. 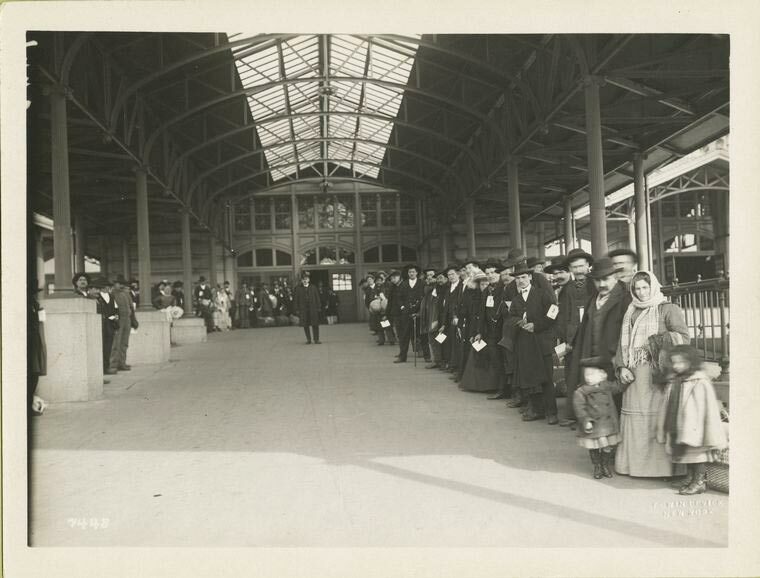 Between 1902 and 1914, millions of people from all over Europe and beyond came through the immigration center. 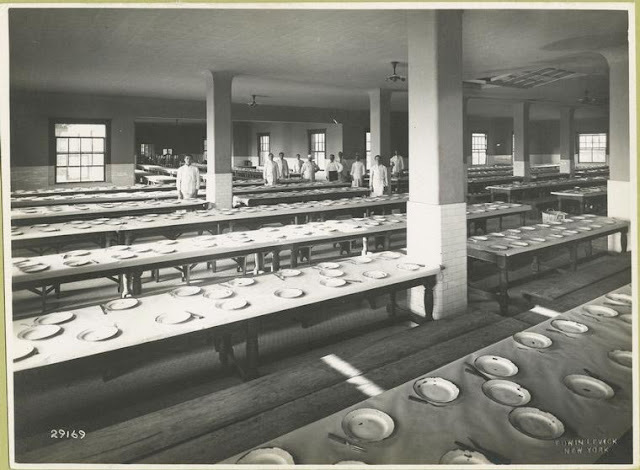 For many, the first American meal eaten would be in a mess hall like this at Ellis Island. They would wait for hours, sometimes days, to undergo inspections and documentation in "the pens," as these rooms were called. These people have passed the first round of mental inspections. 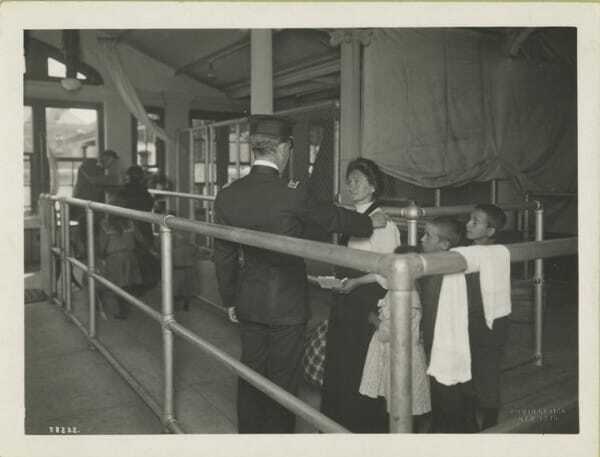 Immigrants has to pass mental and physical inspections, none of which were particularly pleasant. When they'd passed, those who were not staying in New York City made arrangements to travel to other areas of the U.S., usually to meet family and friends who were already there. 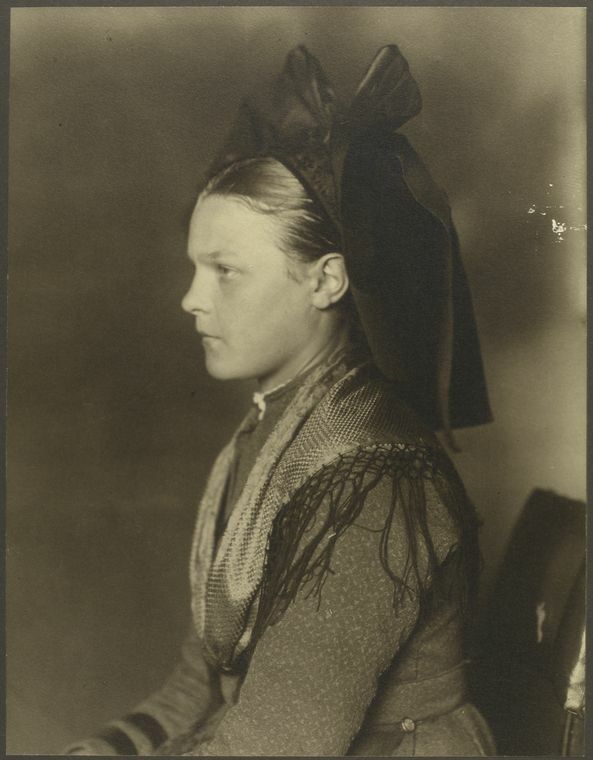 Sometimes people came alone. 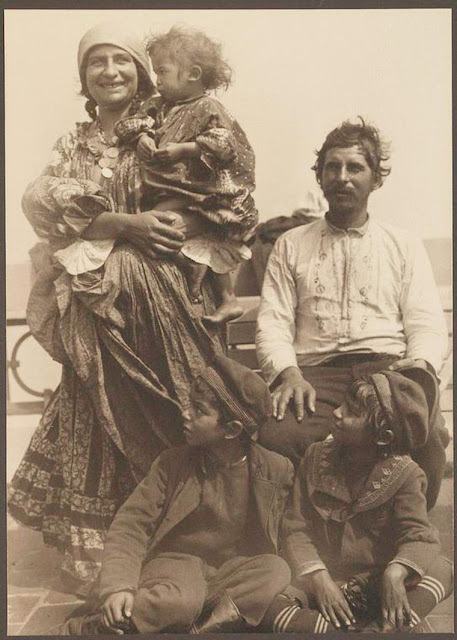 Other times, whole families made the move, like this Roma family from either Hungary or Serbia. 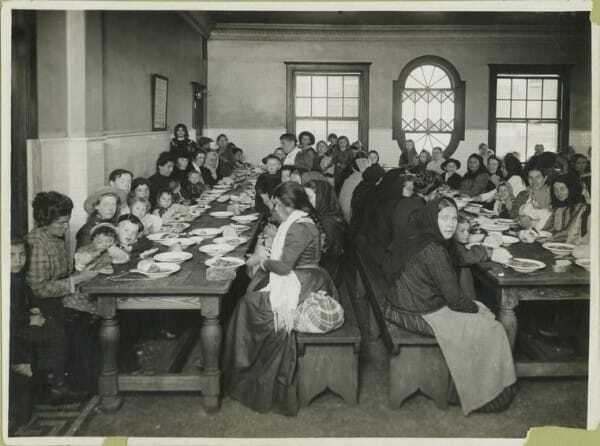 Many children were brought over by their parents, who hoped they would have better lives in the U.S. 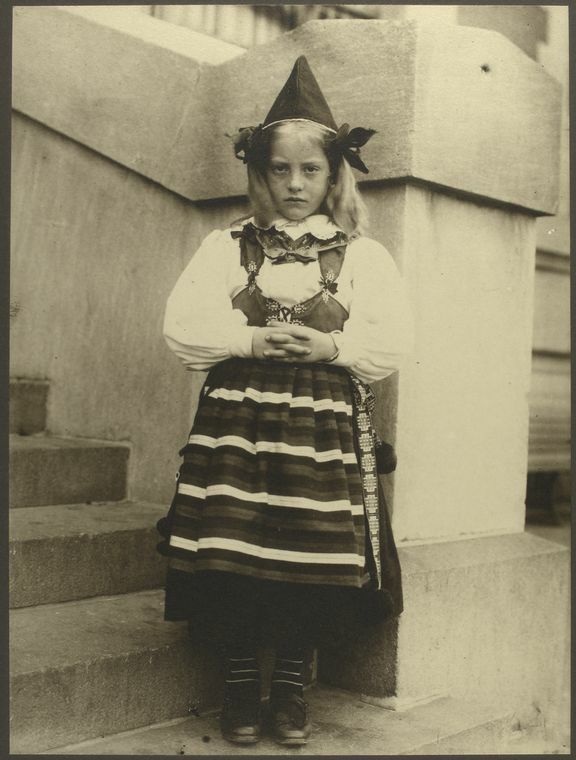 This little girl likely came with her family from Sweden. 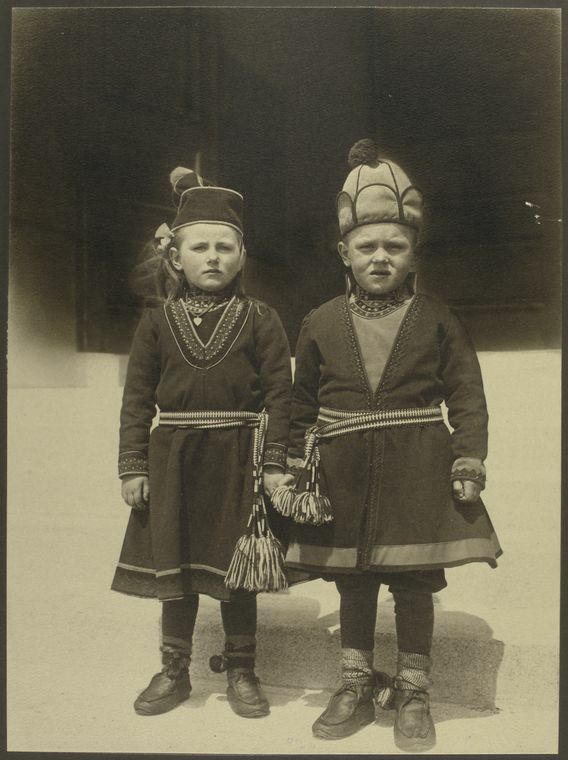 These two Sami children also made the trek. 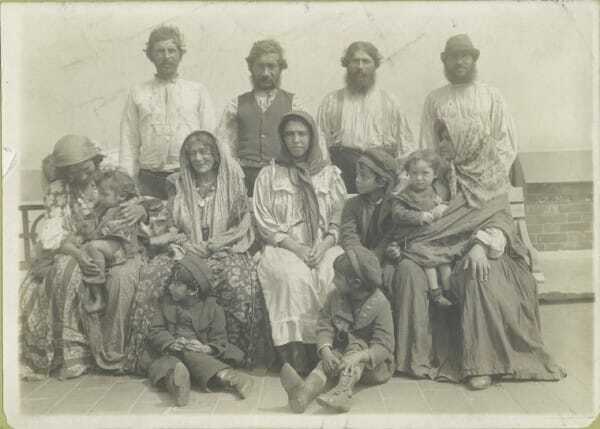 Though many people came from Europe, there were immigrants from other areas of the world, too. 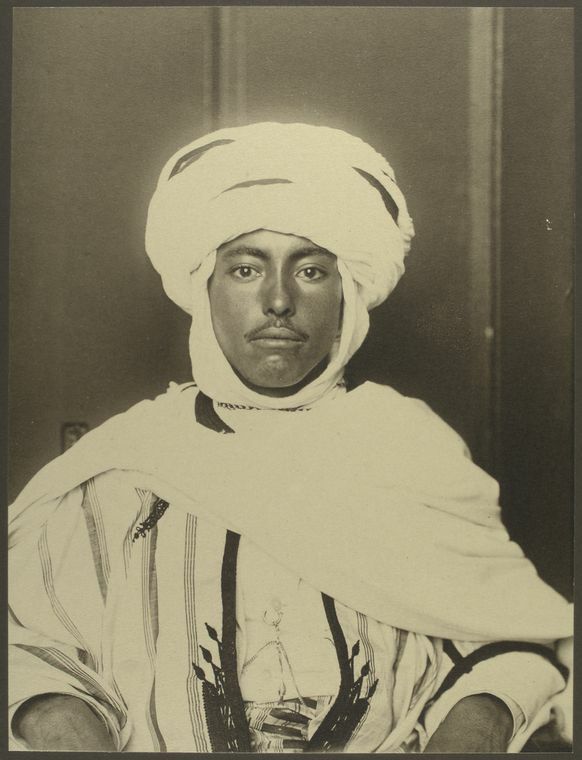 This man came from Algeria. 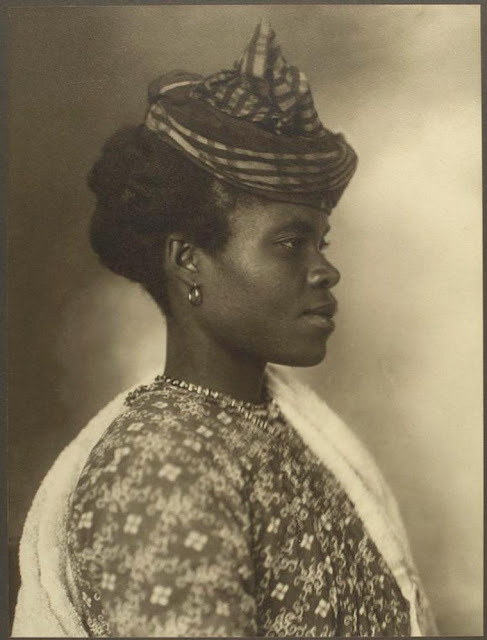 This woman is from Guadeloupe, a French island in the Caribbean. 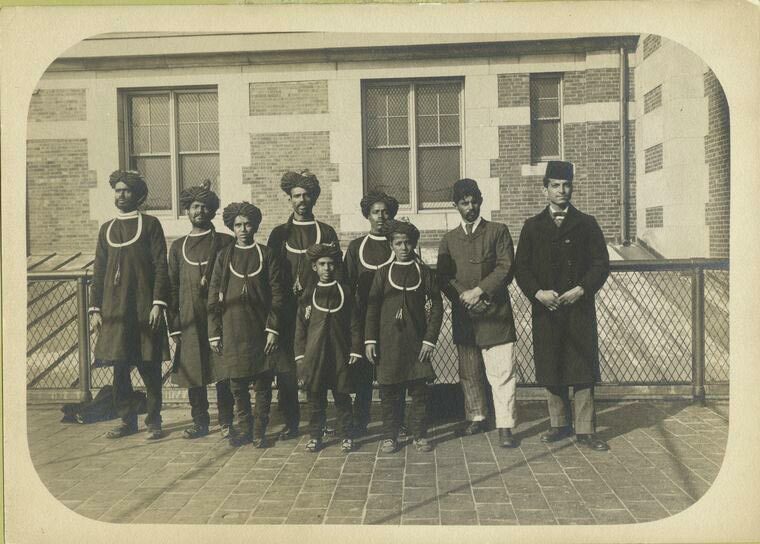 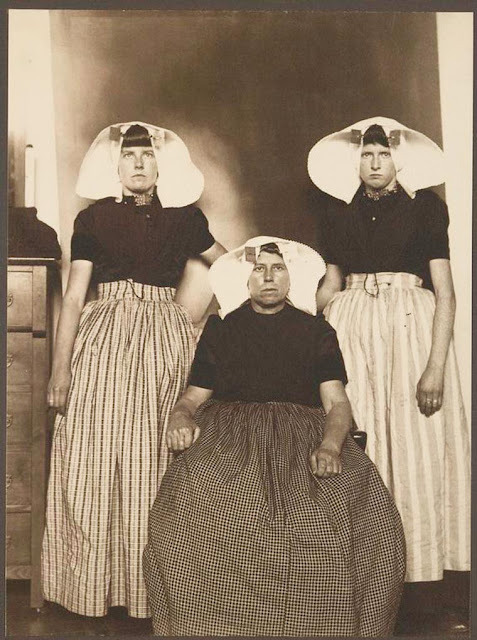 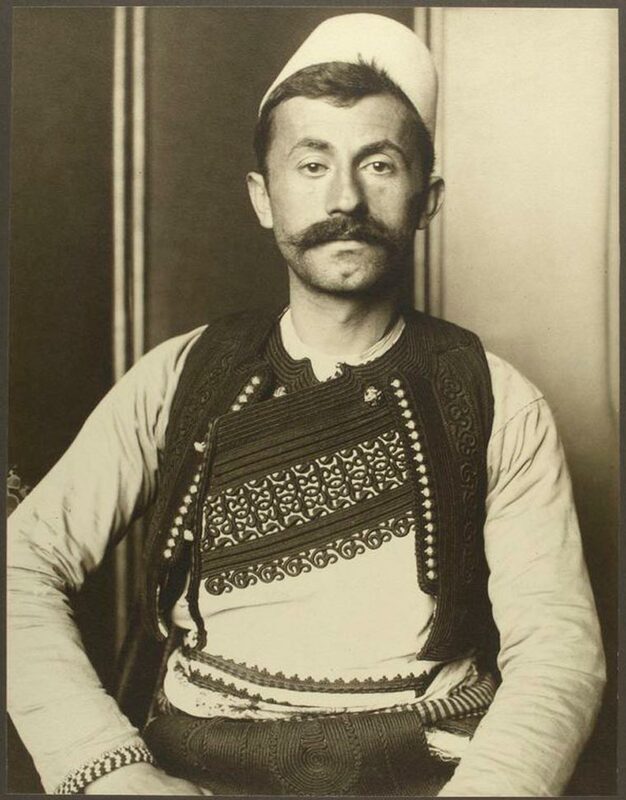 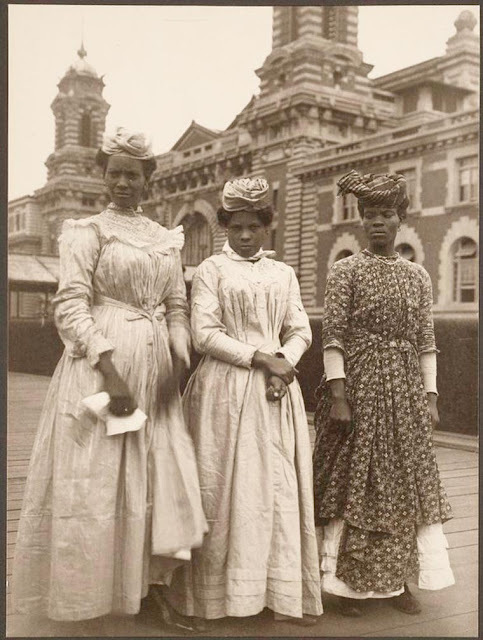 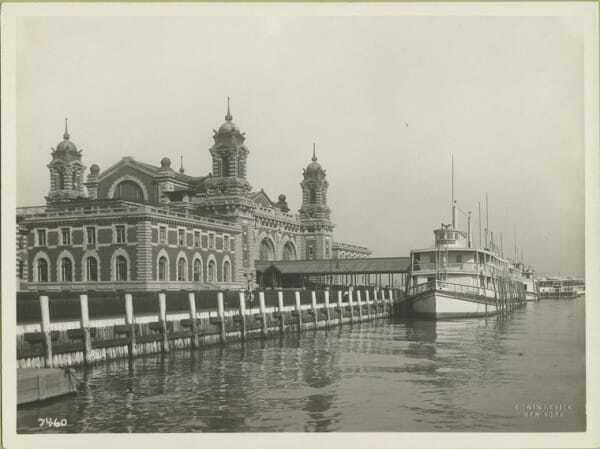 People from all backgrounds came through Ellis Island, representing different ethnicities, cultures, and religions. 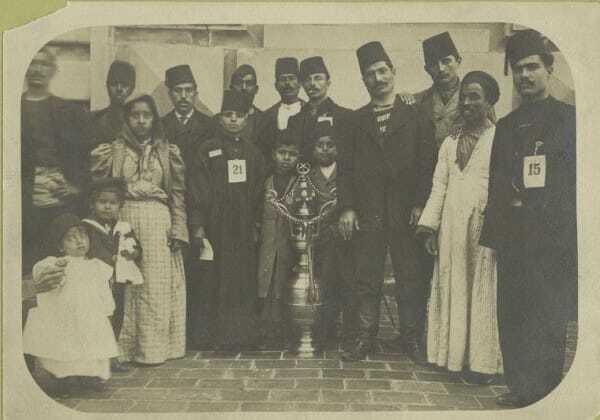 This family, likely from Turkey, brought over a vase or vessel representing their heritage. 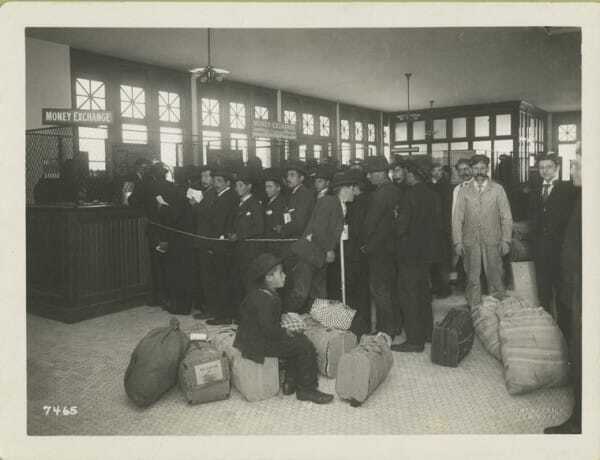 Many immigrants moved to areas where people from their own regions were already living, as it eased the transition. 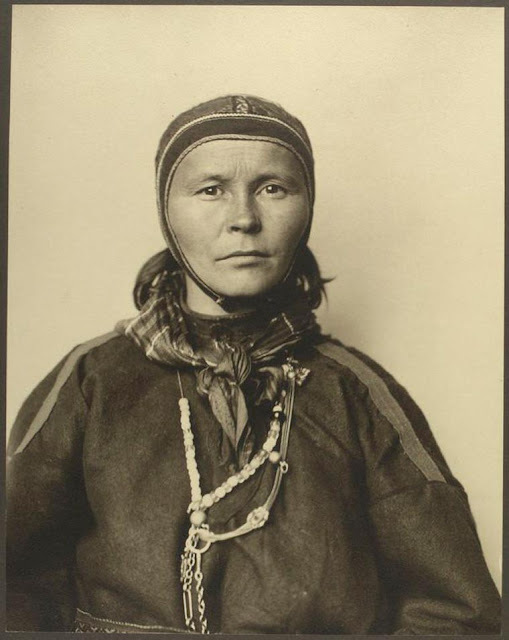 This woman from Norway may have done the same thing. 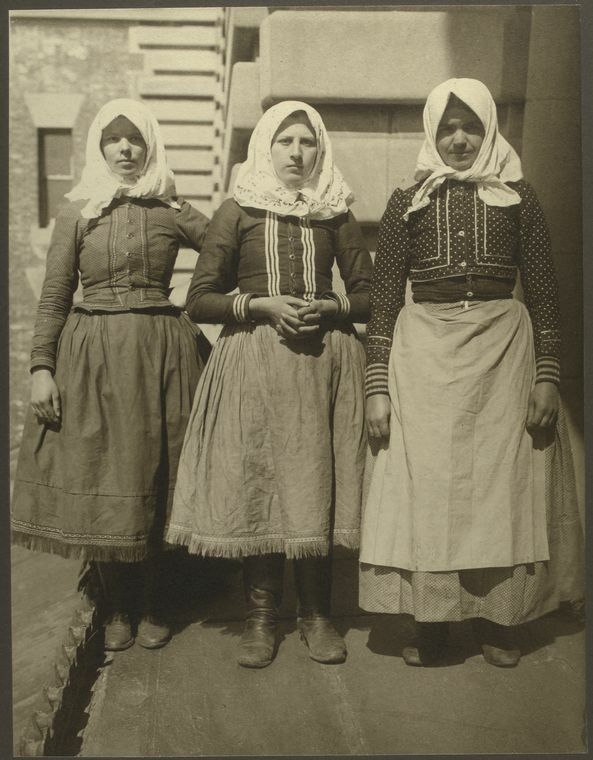 For many immigrants like these Slovakian women, there was a desire to assimilate into American culture, but also a desire to hold onto their own. 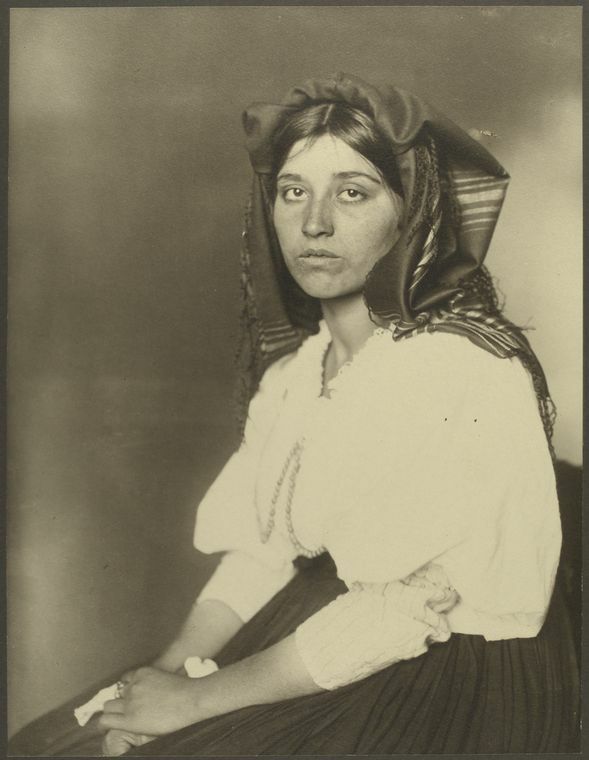 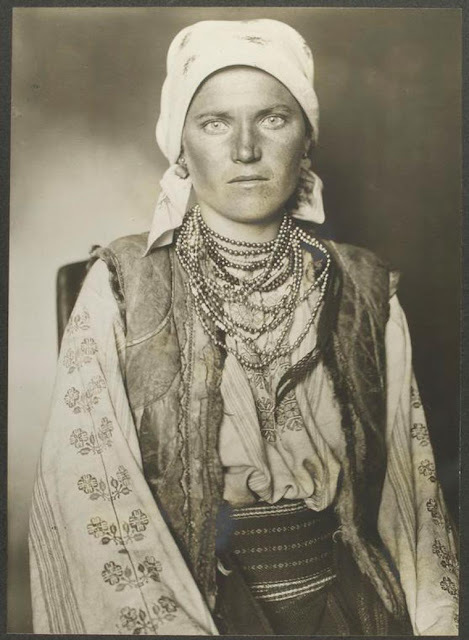 This woman arrived from Italy in 1906. 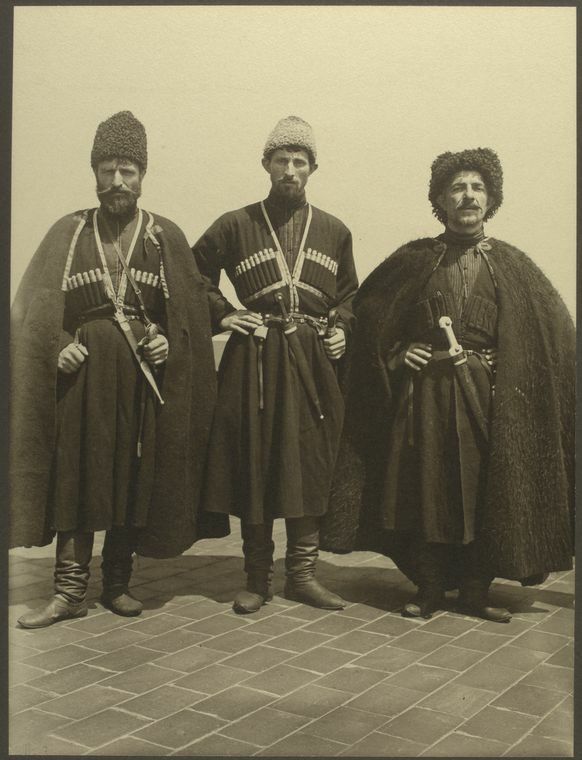 And these Russian Cossacks arrived in the same year. 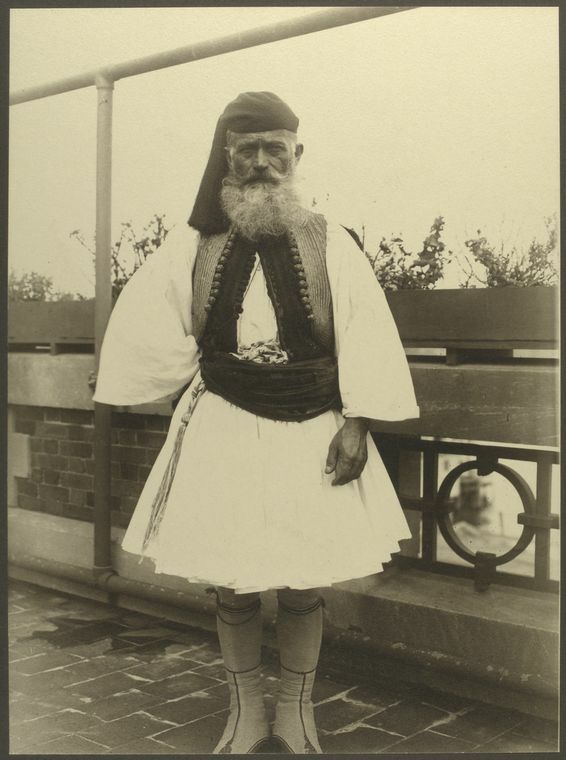 This man's outfit means that he served in the Greek military. 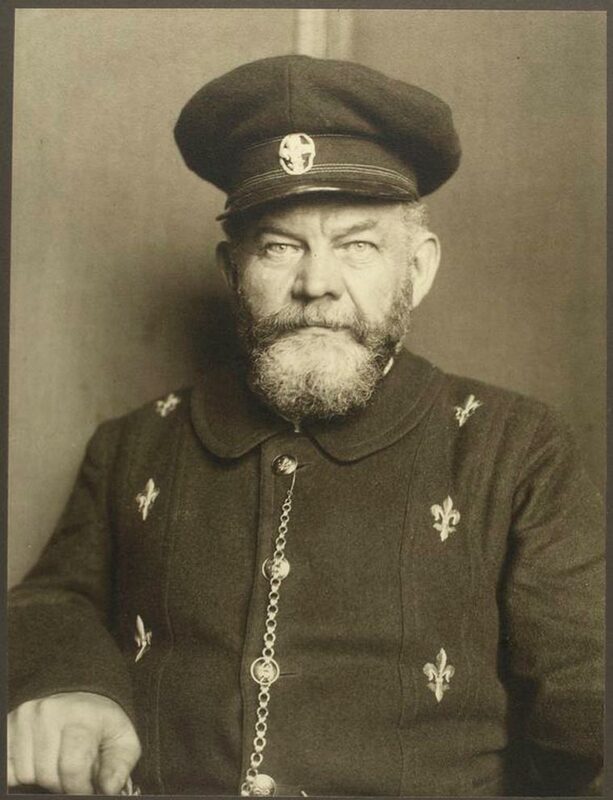 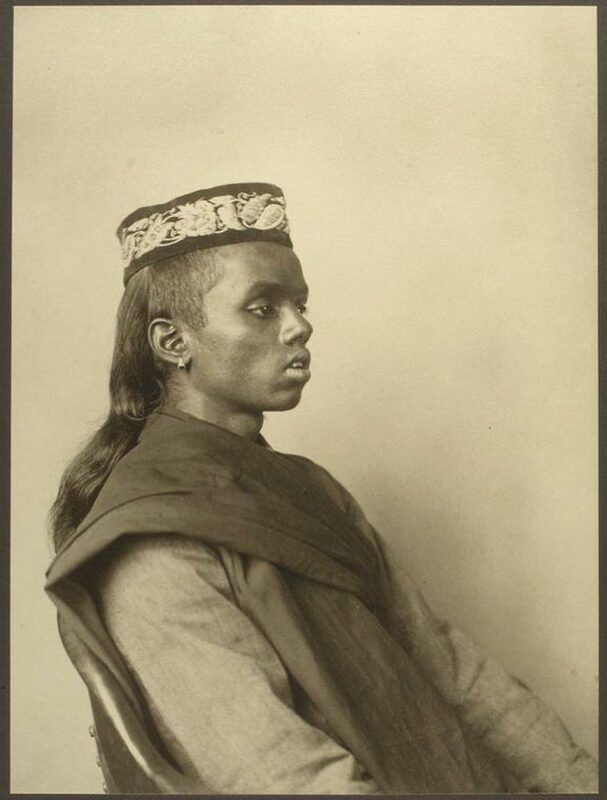 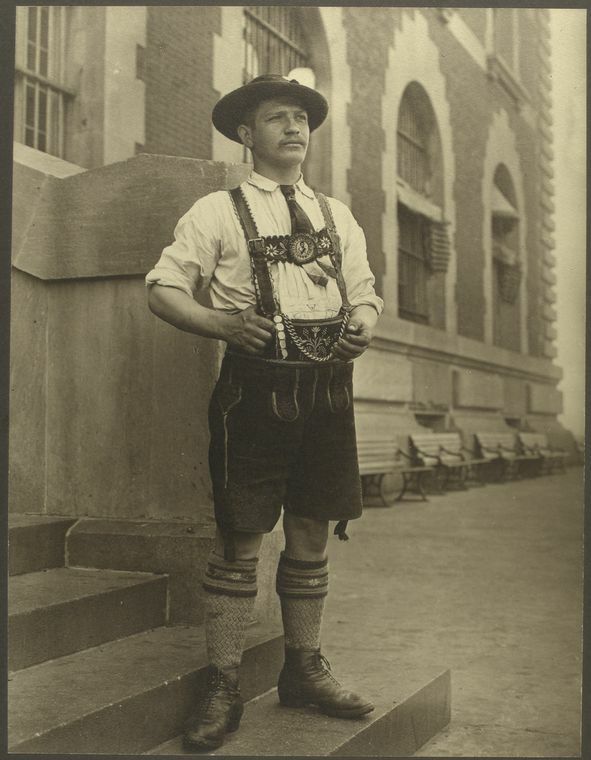 When arriving in the U.S., many people came in the traditional clothing of their homelands, like this Bavarian man. 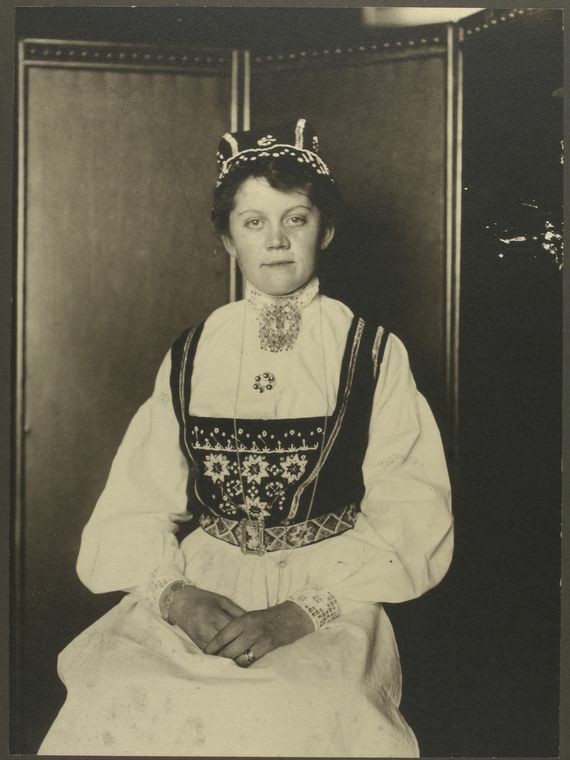 It's pretty amazing to see each person's heritage reflected so clearly in their dress, like this girl from the Alsace region. 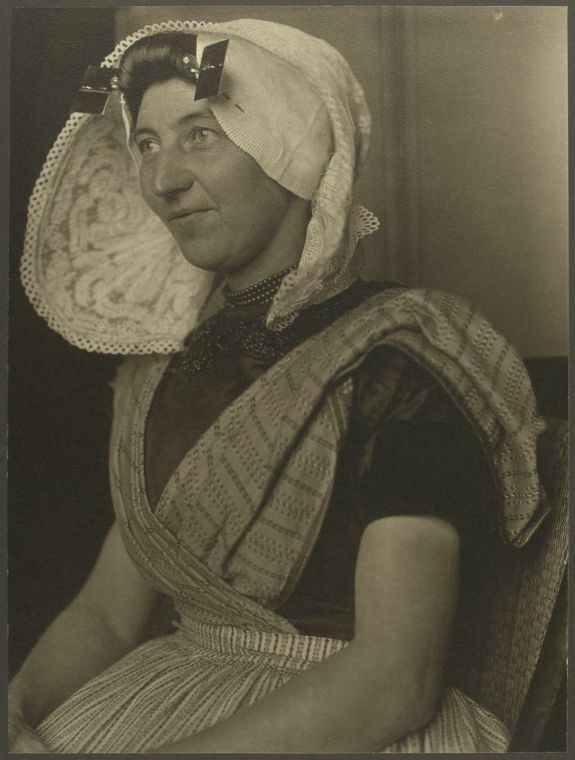 And this woman from the Netherlands. 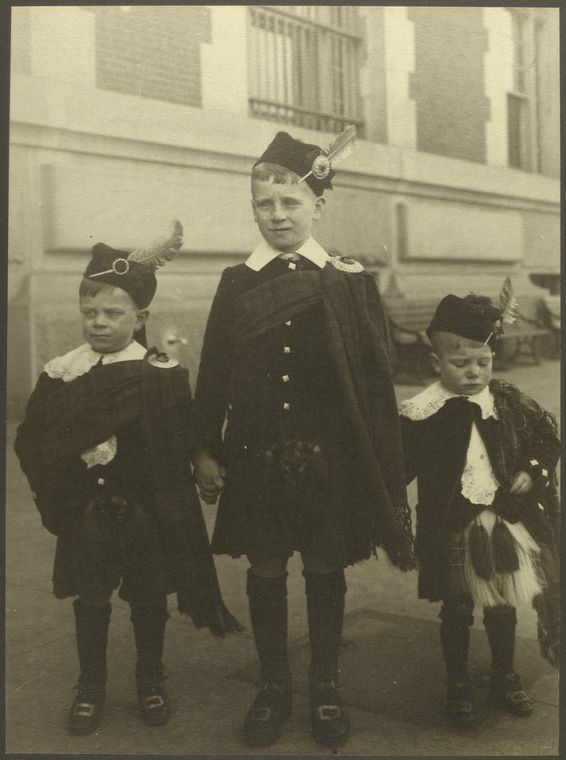 Even while they tried to fit in, many people would remain proud of their heritages, like these young boys from Scotland.